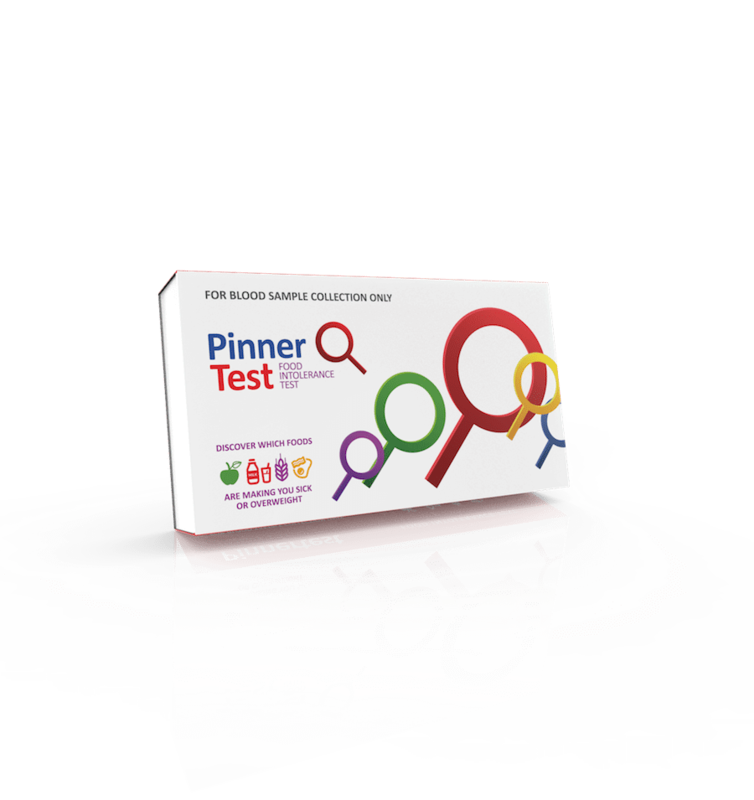 Pinnertest Food Sensitivity Test | What is Food Intolerance? Can You Digest That Food? 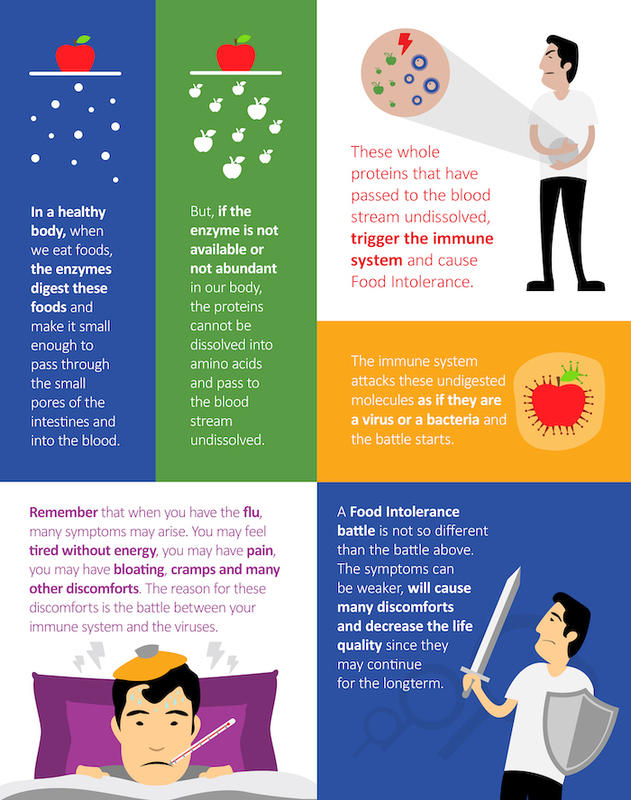 Food sensitivity occurs when the body can’t completely digest a particular food and the proteins of this food enter the bloodstream undissolved and cause an immune system reaction. The immune system recognizes amino acids, uses them and does not respond to them. In a healthy metabolism, the proteins are extracted to amino acids. However, due to enzyme deficiencies or other health-related issues, if the protein enters the bloodstream undissolved, the body thinks these proteins are invaders attacking the body, and the immune system fights the attacking proteins by producing IgG antibodies. This process often results in inflammation that can cause many different types of negative symptoms. When you do not know the foods that we are sensitive to and keep on processing them, the metabolism enters a vicious circle. The more inflammation causes more proteins to enter and the more proteins enter, the more inflammation occurs.,The only way to get out of this vicious circle is by identifying the foods that are poorly digested and then eliminating them from your diet. What Are The Common Food Intolerance Symptoms? Weight Gain – Food Sensitivity can cause the metabolism to slow down which may cause serotonin deficiencies that lead to carb and sugar cravings. Tiredness or Chronic Fatigue – Food Sensitivity, inflammation, and increased CRP levels may result in fatigue. Migraine and Aches – Inflammation due to food sensitivity causes many discomforts such as aches and migraine. Bloating and Edema – Inflamed stomach is one of the main reasons for bloating and edema. Joint Pain – Food sensitivity can be contributing to arthritis symptoms or general joint pain due to an increased level of IgG antibodies irritating joint tissues. IBS – Irritable Bowel Syndrome – There are medical studies that show the direct relationship between IBS and food sensitivity. One of the more common side-effects of food intolerance is weight gain. This is mainly due to depleted levels of serotonin, the powerful chemical responsible for maintaining mood balance, social behavior, libido, memory, and digestive health. More importantly, though, serotonin also acts as the natural appetite suppressant in our bodies, making us feel satisfied even when our stomachs are not full. When fighting a food intolerance, serotonin production (95% of which originates from the cells in our intestines) can decrease dramatically, leading to intense carb and sugar cravings. This process can send the body into a vicious cycle of mood swings, depression, and unwanted cravings, all stemming from a fight against food intolerance. How Can I learn My Food Sensitivities? Without a reliable test, it is almost impossible to identify which foods or drinks are causing the sensitivity reaction. Many institutions are still encouraging people to use diary and best-guess methods to identify and eliminate suspect foods. This can be an overwhelming process and not very effective. To really know what foods you are sensitive to, and you are sensitive to something, the best way to begin that journey is to take a food sensitivity test. This is going to be a jumping off point to finding out just what works for, or against your body’s particular digestion process. However “Food Intolerance Test” is a very common term and used for various methods. It is very important to know which is a reliable and scientific test that will give you precise results. Online Form - Need More Information?